Orthodontic treatment can improve smiles at any age but the American Association of Orthodontists recommends an orthodontic evaluation by age 7 to evaluate the bite and monitor for proper eruption of all permanent teeth. Why so early? There are sometimes very simple steps that can be done before any braces to prevent future problems. This gives Dr. Morgenstern an opportunity to provide early treatment, if necessary, and allows us to monitor children as they grow so treatment can be started at the ideal time. All consultations and growth checks are complementary. or, schedule your complimentary consultation. Dr. Morgenstern will discuss your options and make recommendations for your treatment based on your individual needs. Metal brackets may be traditional but they never go out of style! These brackets are suitable for both children and adults. They offer a classic look and can be dressed up with colors. Clear brackets are an excellent choice for anyone who wants to be more discrete about their braces. They are just as effective as metal brackets but less noticeable. You can make them blend in or you can give them a pop of color. Aligner therapy, such as Invisalign, can straighten your teeth without brackets or wires. 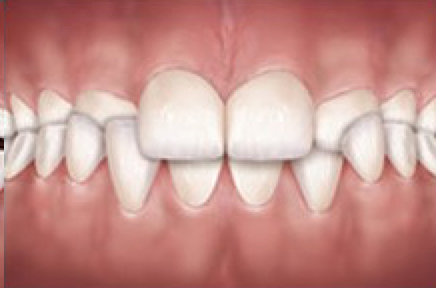 This treatment consists of a series of clear trays that gradually move your teeth into position. This is another esthetic option for orthodontic treatment. In addition to braces and aligners, Dr. Morgenstern uses the newest technology such as impression-less scanning, soft tissue laser, and temporary anchorage devices (TADs) when necessary to achieve the best possible bite and smile. Teeth are crooked or rotated. This is a common reason for people to seek orthodontic treatment and correction can improve smile esthetics. 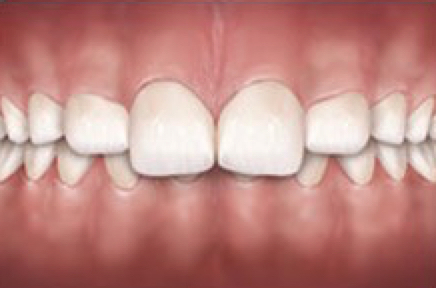 Teeth have gaps between them. This is common reason for people to seek orthodontic treatment and correction can improve smile esthetics. The top jaw is too narrow compared to the bottom jaw. This can cause unnatural wear to back teeth or affect the TM joint. Treatment in children may include an expander. The top teeth are too far in front of the bottom teeth. This can increase risk for injury to top teeth and make it difficult to close your lips. This is very common and can be corrected several ways with orthodontic treatment. The front teeth don’t overlap each other when biting. This can make it difficult to eat certain foods. This may be due to a thumb sucking habit or from causes arising from the teeth or jaws.